April 2018 house designs starts here. 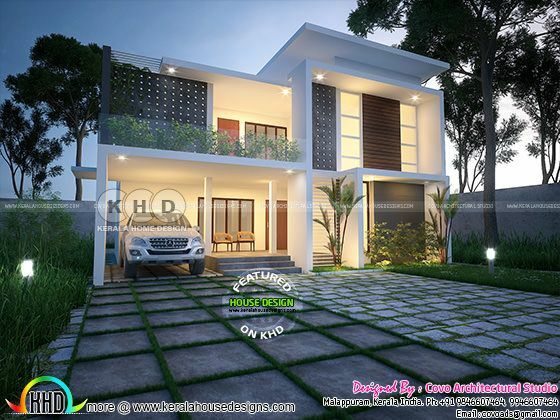 Presenting a 2500 Square Feet (232 Square Meter) (278 Square Yards) 4 bedroom contemporary house plan. Design provided by Covo Architectural Studio, Malappuram, Kerala. 0 comments on "Contemporary home - April 2018 house designs"